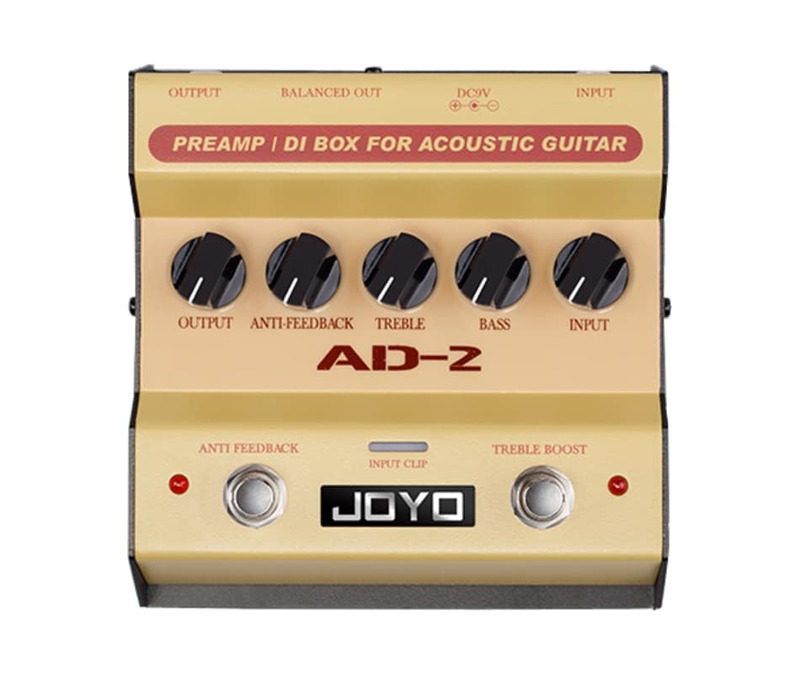 The AD-2 is a preamp and D.I. Box for acoustic guitars. It has a built-in dual band EQ so you can fine-tune the low and high frequencies. It also features a treble boost to push the end when you need it. Another very helpful addition is the anti-feedback circuit, this is very useful for live performances.